In this case, students assume the role of a fictitious space explorer captured by aliens. To win their release, they must correctly explain the neurophysiology underlying some of the punishments used by the aliens to deter attempts at escape. The purpose of the case is two-fold. 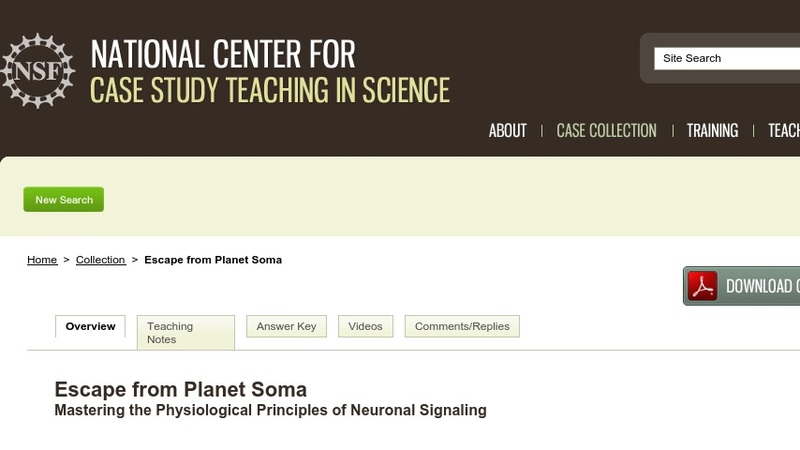 First, it strengthens students' understanding of ion channel function to the point where they are able to make predictions about the ability of the cell to generate an action potential if the activity of a particular ion channel is altered. Second, students are encouraged to place neuronal signaling in a larger context by hypothesizing how altered activity in a specified region or division of the nervous system will be manifested in physical symptoms. While written for a two-semester anatomy and physiology course, this case would also be useful in an undergraduate physiology or neuroscience course or in any course in which students must gain an understanding of foundational neurophysiology.